TV armoires are attractive items of furniture that are specially-designed to provide an elegant storage place for modern television equipment and other home entertainment accessories. A TV armoire is a wonderful combination of function of style, helping you to maintain a sophisticated image for your home whilst having the conveniences of modern life. Many people don’t like their television to be the focal point of their room. An advantage of a TV armoire is that you can easily shut the doors so your TV isn’t on constant display. 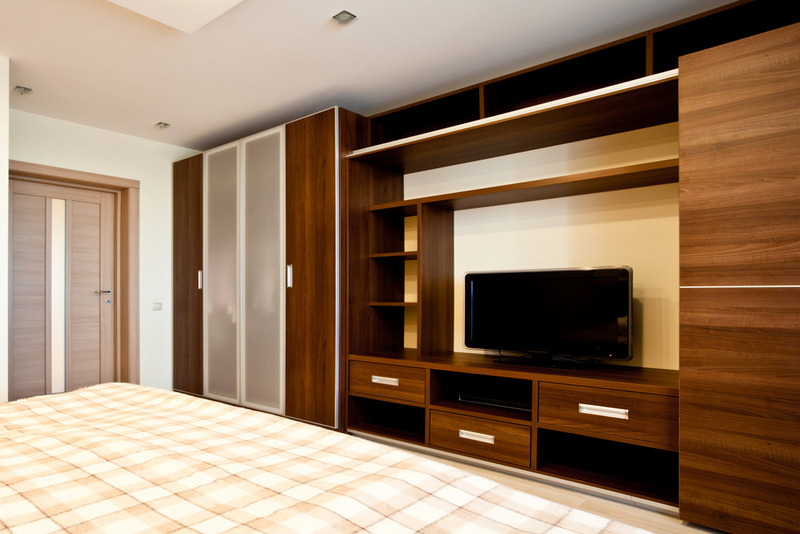 TV armoires come in a range of different sizes and dimensions, so whether you’ve got a large widescreen TV or a small compact one, you should be able to find an armoire to accommodate your needs. If space is limited, a corner TV armoire can make a big difference to the appearance of a room. Entertainment armoires come in a variety of styles and finishes, to blend in with any style of room and decorating theme, from antique to rustic to contemporary. A well-chosen television armoire can look great in practically any room, from the family room to the den, to a bedroom or guest room. Other benefits of TV armoires are the useful design features they come with. As well as concealing your television when it’s not in use, an armoire with wraparound doors is designed for optimum viewing, so you can watch your favorite show without the doors getting in the way. Adjustable compartments are handy for accommodating all kinds of entertainment equipment, such as a VCR or DVD player. Television armoires also have space in the back panel to tidily arrange all those cables. If you want a smart and stylish storage place for your TV or home entertainment system, then an armoire could be the answer. The Wendover Armoire is a tall cabinet in an elegant traditional style. Made from birch wood and wood veneers, it has a lovely maple finish. Its traditional design is accented with grooved pilasters and an over-sized wood bonnet. The doors conceal spacious media storage inside, including 4 interior drawers on wood glides, 3 fixed lower shelves and 1 adjustable shelf. This TV armoire is large enough to comfortably accommodate any television up to 42 inches in size. The Florita TV Armoire has a unique appearance and could be a beautiful centerpiece of your furniture. Made from Chinese bass wood, it has a dark wood finish. The breakfront doors are enhanced by an intricately carved Eastern-inspired pattern. They open fully to reveal a spacious compartment and a shelf. At the bottom of the cabinet are 2 useful storage drawers. This armoire is a winning combination of function and style. The Dennison Armoire is made from Brazilian pine and has a wonderfully light wood finish, which is perfect for an open modern look. It has 4 doors, which all wraparound for unobstructed viewing. Each of the 2 compartments contains an adjustable shelf. This rustic TV armoire is finished off nicely with a curved pediment crown and can be a stunning addition to any room.